Did you have an easy labor? Do you wish you would have done anything different? I definitely didn't with each of my children but I was so proud of my natural births! If you want to incorporate natural techniques like acupressure and breathing into your next labor, make sure to grab the new Acupressure and Breathing for Childbirth DVD. 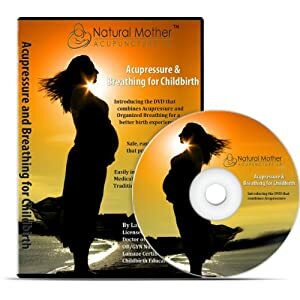 I am so excited to introduce the only DVD that combines the use of Acupressure points and Organized Breathing techniques, not only providing a better childbirth experience for the baby, but better labor experience for the mother and her partner. (Can be used to promote natural childbirth - Also supports conventional births). By learning the tips and techniques provided in this DVD, you will be confident and prepared to participate in the birth of your child. So if you are looking for a little extra "help" with your next labor, check out Acupressure and Breathing for Childbirth for a little extra support through your next labor and delivery!